"Więk­szość ludzi ze świa­ta te­ni­sa wie, że moja ka­rie­ra była na­zna­czo­na pro­ble­ma­mi z pra­wym ko­la­nem. Po czte­rech ope­ra­cjach ko­la­na i set­kach za­strzy­ków ła­go­dzą­cych ból, moje ciało do­ma­ga się od­po­czyn­ku" - tłu­ma­czy­ła Na Li. "Jed­nym z moich celów było jak naj­szyb­sze wy­ku­ro­wa­nie się przed tur­nie­jem w moim ro­dzin­nym mie­ście (Wuhan, przyp. red.). Bar­dzo chcia­łam wró­cić do 100-pro­cen­to­wej spraw­no­ści, ale moje ciało mó­wi­ło mi, że w wieku 32 lat nie będę w sta­nie nigdy wię­cej ry­wa­li­zo­wać na naj­wyż­szym po­zio­mie. Sport jest zbyt kon­ku­ren­cyj­ny, aby nie być go­to­wym na 100 pro­cent"
Szkoda... Po cichu liczyłam, że jednak jeszcze trochę pogra, ale okazała się kolejną zawodniczką, której kontuzje "pomogły" w zakończeniu kariery. Dobrze przynajmniej, że w tym roku udało jej się zdobyć jeszcze jeden tytuł Szlema. Trzymaj się Na! Nie powiem, troszkę mnie zszokowała ta wiadomość. Mimo, iż jakoś nigdy nie byłem jej fanem tenisa, to poza kortem Li była zawsze uśmiechnięta i pogodna. Co za rok - odchodzi Iwona, teraz Na. For close to fifteen years, we've been a part of each other's lives. 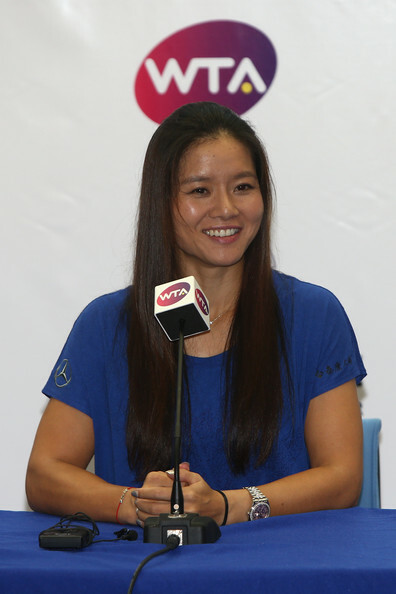 As a tennis player representing China on the global stage, I've trekked around the world playing hundreds of matches on the WTA tour, for China's Fed Cup team, at the National Games and at several Olympic Games. You've always been there for me, supporting me, cheering me on, and encouraging me to reach my potential. 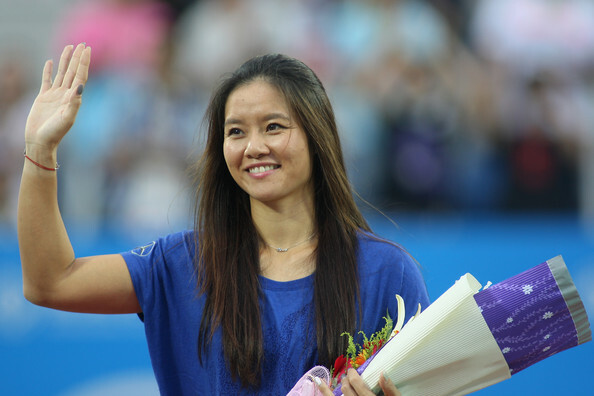 Representing China on the tennis court was an extraordinary privilege and a true honour. 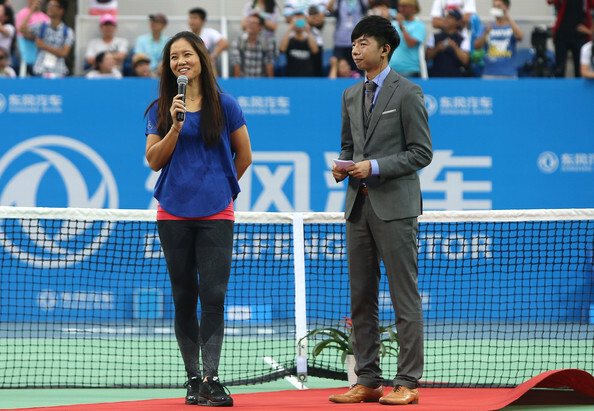 Having the unique opportunity to effectively bring more attention to the sport of tennis in China and all over Asia is something I will cherish forever. But in sport, just like in life, all great things must come to an end. 2014 has become one of the most significant years in my career and my life. 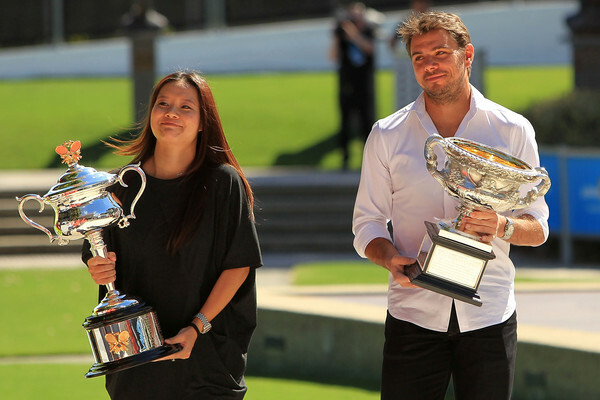 This year was full of amazing highlights, which included winning my second Grand Slam singles title at the Australian Open and sharing the extraordinary experience with my country, my team, my husband and my fans. It was also a year filled with difficult moments, such as having to deal with the inevitable - making the decision to end my professional tennis career. The amazing moment in Australia was filled with joy, happiness and extraordinary sense of accomplishment. The task of finally making a decision to hang up my racquet felt a lot more difficult than winning seven matches in a row in the Australian heat. It took me several agonizing months to finally come to the decision that my chronic injuries will never again let me be the tennis player that I can be. Walking away from the sport, effective immediately, is the right decision for me and my family. Most people in the tennis world know that my career has been marked by my troubled right knee. The black brace I wear over it when I step on the court has become my tennis birth mark. And while the brace completes my tennis look, the knee problems have at times overtaken my life. After four knee surgeries and hundreds of shots injected into my knee weekly to alleviate swelling and pain, my body is begging me to stop the pounding. My previous three surgeries were on my right knee. My most recent knee surgery took place this July and was on my left knee. After a few weeks of post-surgery recovery, I tried to go through all the necessary steps to get back on the court. While I've come back from surgery in the past, this time it felt different. One of my goals was to recover as fast as I could in order to be ready for the first WTA tournament in my hometown of Wuhan. As hard as I tried to get back to being 100%, my body kept telling me that, at 32, I will not be able to compete at the top level ever again. The sport is just too competitive, too good, to not be 100%. Winning a Grand Slam title this year and achieving a ranking of World No.2 is the way I would like to leave competitive tennis. As hard as it's been to come to this decision, I am at peace with it. I have no regrets. I wasn't supposed to be here in the first place, remember? Not many people believed in my talent and my abilities, yet I found a way to persevere, to prove them (and sometimes myself!) wrong. I've succeeded on the global stage in a sport that a few years ago was in its infancy in China. What I've accomplished for myself is beyond my wildest dreams. What I accomplished for my country is one of my most proud achievements. 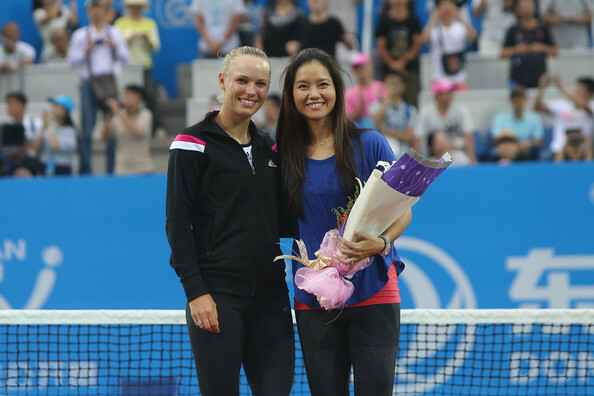 In 2008, there were two professional women's tennis tournaments in China. Today, there are 10, one of them in Wuhan, my hometown. That to me is extraordinary! 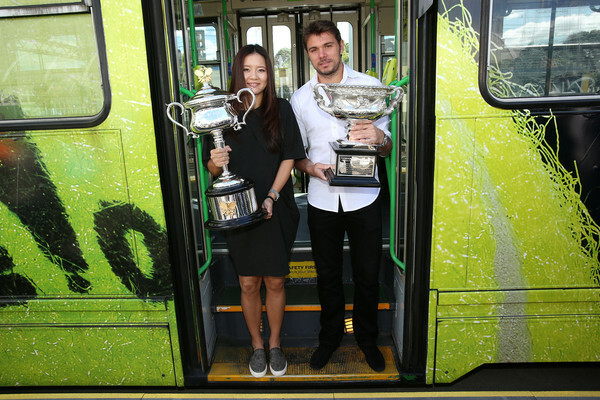 Serena Williams, Maria Sharapova and Venus Williams - with thirty Grand Slam singles titles among them - are coming to my hometown to play tennis for the fans of China! 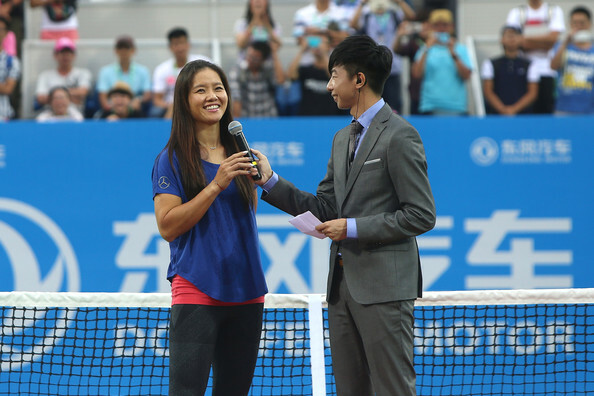 Just as I didn't think I could ever be a Grand Slam champion, never in my wildest dreams did I imagine that some of the best female athletes in the world could play tennis in Wuhan, in my backyard. My contributions to the growth of the sport in China are very special to me. But I don't want to stop here. Together with IMG, my management company, we are putting together various plans on how we will continue to grow the sport of tennis in China. 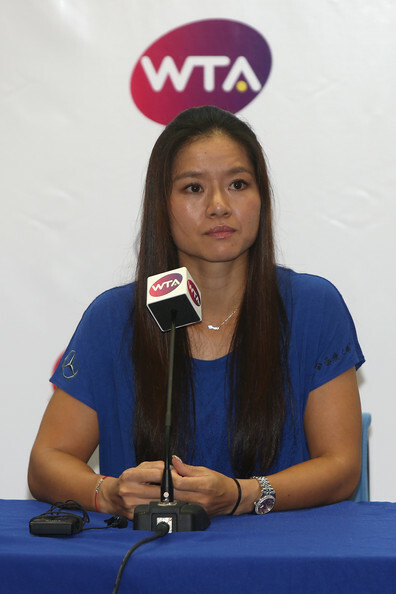 These plans include opening the Li Na Tennis Academy, which will provide scholarships for the future generation of Chinese tennis stars. I will also stay involved in the Right to Play, an organization dedicated to helping underprivileged children overcome challenges through sport. My philanthropic work will expand in scope as I continue to dedicate myself to helping those in need. What was once just a dream in China today is a reality. On a personal side, I look forward to starting a new chapter of my life, hopefully having a family and reconnecting with those I did not have the luxury of spending a lot of time with while playing. I can't wait to revisit all the amazing places I played tennis in and see the world through a new set of eyes. I look forward to slowing down and living my life at a new, slower, relaxed pace. Tennis is an individual sport and as players, our job is to spend a lot of time focusing on ourselves. But no player can ever become a champion alone and nobody knows this better than me. There isn't enough space here to thank everyone who has travelled on my journey with me and contributed to my success. But I must thank those that have stuck with me through the highs and the lows and have helped me become the person that I am today. • My mother - for your never-ending support. Through the laughs and the tears, you've always been there for me. • My father - you were taken away from me way too early and I haven't been the same since. You've remained the sunshine in my life and I am who I am because of you. • Jiang Shan - you've been by my side for 20 years. You are my everything and I am grateful to have shared my life with you. 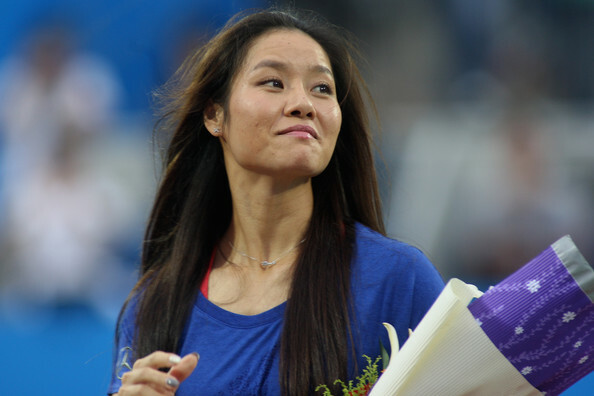 • My first coaches Ms. Xia Xiyao and Ms. Yu Liqiao - for putting me on the tennis path. 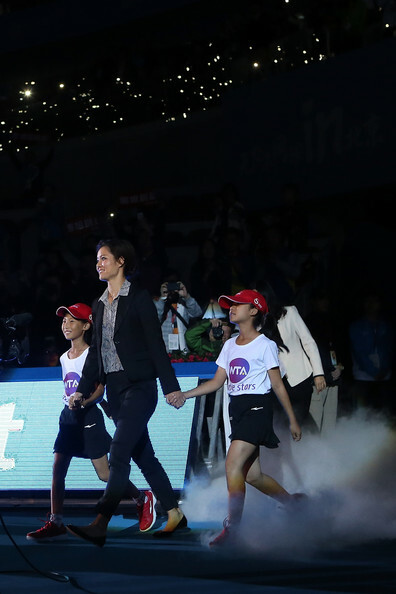 • Madame Sun and the Chinese Tennis Association - thank you for being trailblazers for tennis in China. • Mr. Hu Dechun and the Hubei Sports Bureau - for understanding me and supporting me through the years. • Women's Tennis Association - for your passion for women's tennis and hard work growing it around the world. • Mr. Chan Hongchang - for supporting me when I first decided to become a professional tennis player in 2008. You helped me make up my mind. • Thomas Hogstedt - for introducing me to professional tennis. • Michael Mortenson - for helping me win my first Grand Slam. • Carlos Rodriguez - for pushing me beyond the limits I thought I could reach. • Alex Stober - for taking care of me all of these years and pulling me together when I was falling apart. • Erich Rembeck and Johannes Wieber - for finding a way to make me pain free, over and over again. • Fred Zhang and the Nike team - you've been my guiding light, my support system and my biggest cheerleader. I will never forget it. • To Max Eisenbud and the entire IMG Team - for being the best management company in the world and for taking care of me every day. • To all the sponsors that have supported me through every stage of my career. • To my relatives, friends, and everyone who has helped me throughout my career - for always being there for me and for your never-ending support. 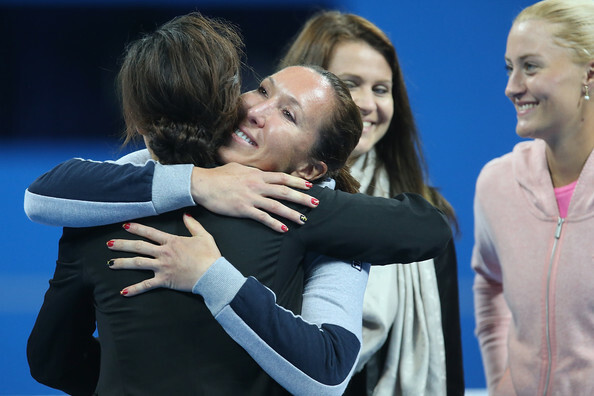 • To my fellow tennis players - for being a part of my journey all of these years. I have so much respect for all of you. 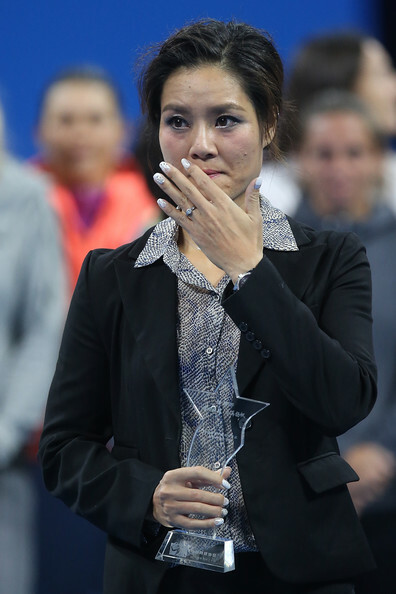 • To everyone in the media who's covered my career and helped the growth of tennis in China and around the world. • To the amazing tennis fans around the world - for your unyielding support of our sport and for playing every tennis match along with me. 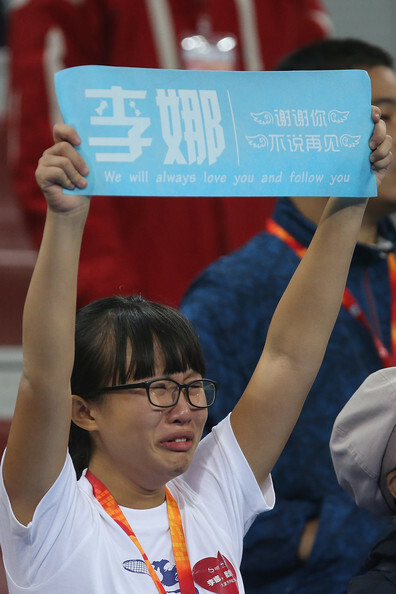 • And lastly, to tennis fans in China - for getting on the bandwagon and staying on it! I am grateful to each and every one of you for pushing me to be my best, embracing me and loving me unconditionally. 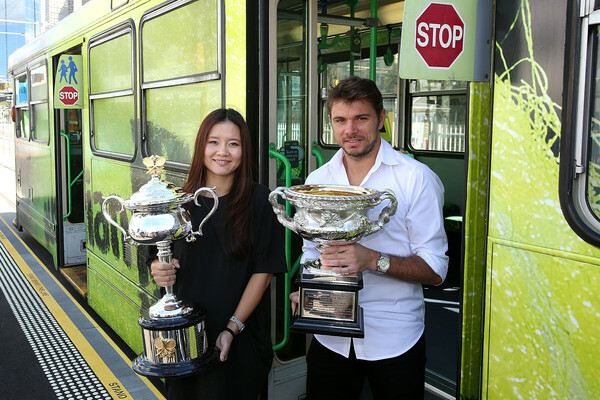 There is no limit to how far we can take the sport of tennis in China, together. When I started playing tennis, I was just a neighbourhood kid with an afterschool hobby, not realizing what magical journey lay ahead of me. 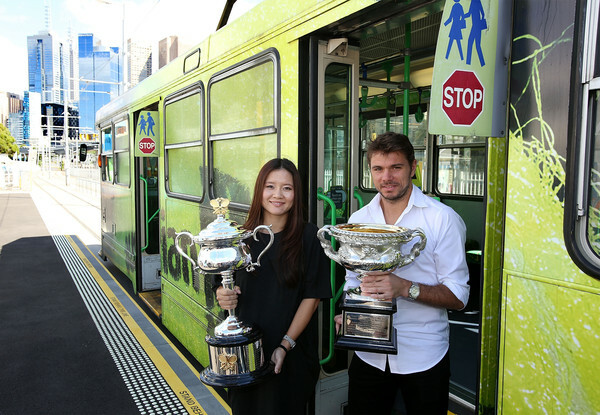 If I only knew what a vehicle the sport of tennis, along with my success, would become for my beloved China. While my journey hasn't been easy, it has been rewarding. I've seen change happening in front of my eyes, young girls picking up tennis racquets, setting goals, following their hearts and believing in themselves. 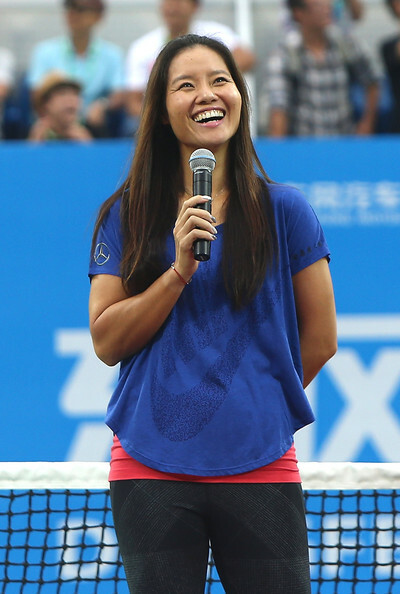 I hope that I've had the opportunity to inspire young women all over China to believe in themselves, to set their goals high and pursue them with vengeance and self-belief. Whether you want to be a tennis player, a doctor, a lawyer, a teacher or a business leader, I urge you to believe in yourself and follow your dream. If I could do it, you can too! Be the bird that sticks out. With hard work, your dreams will come true. Duża strata. Ogromna. W końcu to Li zapoczątkowała erę chińskiego tenisa. Nawet azjatyckiego. Pierwsza Azjatka ze Szlemem na koncie. Śmialiśmy się z errorNa, ale jak była w formie to kosiła równo. Ten bh. Do tego niemal zawsze sympatyczna postawa i uśmiech na twarzy. Oby się jej wiodło w prywatnym życiu. Wielka szkoda Chinki, cała jej kariera była bardzo barwna, początkując od jakichś katastrofalnych choke'ów i errormodów, po wspaniałe wygrane. Linka to też niezapomniane poczucie humoru, cała osobowość skłaniała mnie przede wszystkim do wiary, że tenis jest nie tylko dla pieniędzy, a tenisista to nie robot tylko człowiek, który ma wiele momentów słabości. Mimo że nigdy jakąś jej wielką fanką nie byłam, to darzę ją wielką sympatią i lubiłam patrzeć na jej grę na korcie. Tym bardziej żal, że nie pokaże się u siebie w Wuhan, bo pewnie cały rok na to najbardziej czekała... Ale decyzja dobra - jeśli miałaby odpaść w pierwszej rundzie z powodu dokuczającej jej kontuzji, lepiej się tam nie pokazać i odejść z tarczą. Triumfatorka dwóch turniejów Wielkiego Szlema Na Li ogłosiła w piątek zakończenie kariery. Decyzję Chinki skomentowały w mediach społecznościowych jej największe przeciwniczki z tenisowych kortów. "To był zaszczyt i przyjemność rywalizować z tak wspaniałą mistrzynią"
"Wylądowałam w Chinach i usłyszałam o końcu kariery Na Li. Co za wspaniał zawodniczka, zabawna osoba i inspiracja dla wielu. Zrobiłaś bardzo dużo dla tenisa na całym świecie. Na zawsze będę miała w pamięci nasze pojedynki. Życzę ci wszystkiego najlepszego na nowej drodze twojego życia"
"Li Na, jedna z najbardziej zabawnych i sympatycznych zawodniczek w światowym tenisie. Wspaniała rywalka i wzór do naśladowania na korcie, jak i poza nim. Będzie cię brakowało. Nowy ekscytujący rozdział twojego życia zaczął się dzisiaj"
"Co za wspaniała osoba i mistrzyni. Będzie cię brakowało w naszym cyklu turniejów, ale życzę ci wszystkiego najlepszego na nowej drodze twojego życia"
"To smutny dzień dla chińskiego tenisa i generalnie dla światowego sportu. Mam dobre wspomnienia z meczów przeciwko niej"
"Bardzo szanowana jako osoba i jako sportowiec. Życzę Li Na wiele szczęścia i zdrowia w następnych rozdziałach życia"
Na . Dlaczego tak szybko? Rozumiem, że kłopoty zdrowotne wpłynęły na decyzję o zakończeniu kariery, ale zawsze pozostaje żal, kiedy ze sportem żegna się jedna z ulubionych tenisistek. Li to nie tylko świetna zawodniczka, ale także wielka osobowość. 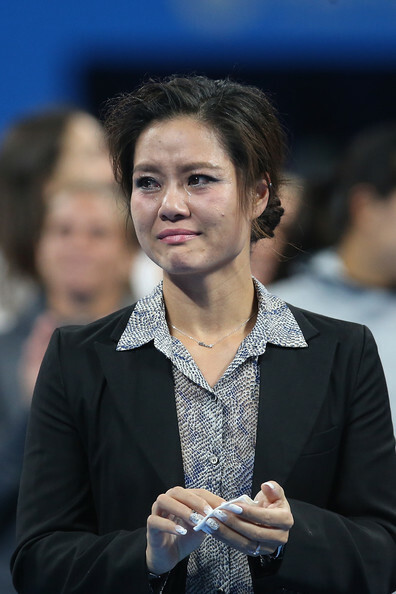 Pamiętam jej spotkania z Kim Clijsters na AO 2011 i 2012. Aż się łezka w oku kręci. Obie panie, wspaniałe tenisistki i osobowości, które jeszcze nie tak dawno dostarczały nam tylu emocji, dziś są już na sportowej emeryturze. Aż się nie chce wierzyć. Powodzenia Na na w życiu prywatnym. Może jeszcze kiedyś zdecydujesz się na powrót. Tak mi jest szkoda Chinki, że akurat teraz dane jej było, po niezwykle udanym początku sezonu zakończyć swoją niezwykłą karierę sportową. Nic tak naprawdę nie zapowiadało tego, że jeszcze w tym roku, tenisistka z kraju Środka nie wystąpi już na zawodowych kortach. Jest mi bardzo smutno z tego powodu gdyż, bardzo ją lubiłem i ceniłem. Jednak kontuzje kolana z którymi w przeszłości i aktualnie zmaga się ta zawodniczka nie pozwalają jej na nawiązanie czynnej rywalizacji na wysokim poziomie. Ta osoba słynęła z wspaniałego charakteru do walki niczym chiński smok , a przy handshake'ach zazwyczaj pokazywała się z przyjaznej strony. Mi na pewno utkwi to, jaką osobą była poza kortem czyli: zawsze uśmiechnięta, z ogromnym dystansem do siebie, ale przede wszystkim z ogromnym poczuciem humoru (zwłaszcza jej żarty na temat swojego męża i jej mowa końcowa podczas tegorocznej ceremonii zakończenia Australian Open ). Bardzo podobał mi się jej agresywny styl gry, zwłaszcza przepiękny backhand, który był jej największym atrybutem. Wielka szkoda dla WTA. Ja ze swojej strony, chciałbym życzyć Li Na dużo zdrowia, szczęścia w tym nowym rozdziale życia. Wiadomo teraz tenis nie będzie stał u niej w hierarchii ważności na pierwszym miejscu, ale liczę, na to, że będzie dalej go kochała i wspierała ten piękny sport. Wiwat dla Wielkiej mistrzyni !!! Ja nie mam słów. Nie wiedziałem, że po odejściu jednej z moich będę to tak przezywał. A jednak. Mózg był na to przygotowany jednak serce chciało inaczej. Co zrobić. Każdego to czeka. Za wszystko dziękuję nawet za każdy okropny mecz. Bo ja kochałem patrzeć na grę Chinki. Genialna zawodniczka i osoba. Wie co robi. Wiadomo teraz tenis nie będzie stał u niej w hierarchii ważności na pierwszym miejscu, ale liczę, na to, że będzie dalej go kochała i wspierała ten piękny sport. 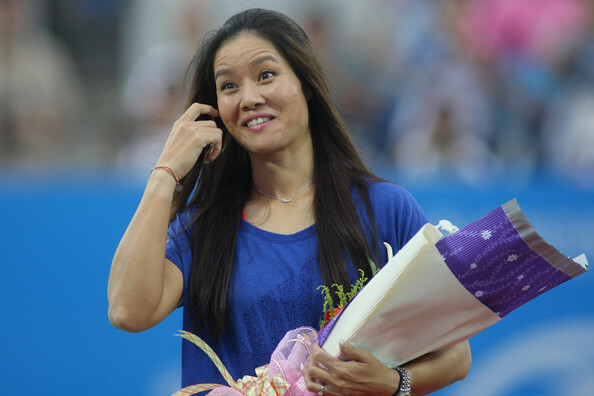 Li Na ma w planach otworzenie swojej akademi tenisowej, wiec nadal bedzie zwiazana z tenisem.Nadal bedzie miala niektore umowy sponsorskie( moze wciaz kontynuowac wspolprace z Nike), zatem bedzie udzielala sie publicznie i promowala tenis w Chinach. Na Li zakończyła karierę, a kobiecy tenis poniósł dużą stratę. Zwyciężczyni dwóch turniejów wielkoszlemowych potrafiła przyciągnąć przed telewizory 116 mln ludzi. Umiała ich rozśmieszyć i wzruszyć, a młodym zawodniczkom pokazać, że ciężka praca i odwaga popłacają. Historia kariery sportowej Li nadaje się na film, kto wie, może w Chinach lub Hollywood ktoś go kiedyś nakręci. W młodości uprawiała badminton, jeden z narodowych sportów w Państwie Środka, ale nie odnosiła sukcesów i zaryzykowała zmianę dyscypliny na "burżujski" i mało popularny w ojczyźnie tenis. Początki były trudne, bo zaczęła późno - jako dziesięciolatka. Trafiła też na trenerów, którzy sportu uczyli jak musztry w wojsku - dużo krzyczeli i wymagali, wpędzając dziewczynkę w kompleksy. Li pisała później w bestsellerowej autobiografii "My Life", że przez tę chińską twardą szkołę nigdy nie czuła się na korcie pewnie. Zawsze obwiniała się za błędy i porażki. Gdy przeszła na zawodowstwo, aż 65 proc. wpływów musiała oddawać do związkowej kasy. O niezależności w Chinach nie było mowy, federacja przydzielała trenerów, kontrolowała każdy ruch. Ale krok po kroku Li wyrwała się z kajdan, bo zaczęła odnosić coraz większe sukcesy. 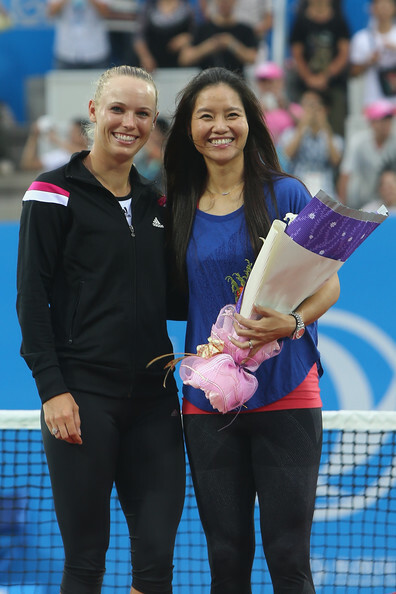 Została pierwszą Chinką, która wygrała turniej WTA (2004), pierwszą w rankingu TOP 10 (2010). Jeżdżąc po świecie, powoli się uniezależniła, przekonała chińską federację, by pozwoliła jej trenować w Niemczech i zatrudniać trenerów według własnego uznania. W końcu udało jej się zdobyć także swobodę finansową. Li nie tyle zmiękczyła serca chińskich działaczy, ile sprawiła, że dostrzegli w tenisie szansę na własną promocję. Od kilku lat chińskie tenisistki pracują już niemal wyłącznie na swoje konto (oddają tylko kilka procent nagród). Największe sukcesy Li przyszły dopiero wtedy, gdy skończyła 27 lat. Jest żywym dowodem na to, że nigdy nie jest za późno na naukę i rozwój - z pomocą klasowych trenerów, m.in. Duńczyka Michaela Mortensena i Argentyńczyka Carlosa Rodr~gueza, zaczęła częściej atakować, grać w bardziej różnorodny sposób, nauczyła się radzić sobie z emocjami. Przestała bać się ryzyka. W 2010 r. sięgnęła pierwszego półfinału Szlema. Do finału Australian Open doszła w 2011 r., gdy miała 29 lat (przegrała z Kim Clijsters). Trzy miesiące później wygrała Rolanda Garrosa (6:5, 7:6 z Francescą Schiavone) po meczu, który za sprawą rodaków Li oglądało w telewizji 116 mln ludzi, czyli więcej niż jakiekolwiek inne spotkanie tenisowe w historii. Gdy Li stała się gwiazdą sportu, ludzie poznali ją bliżej i zachwycili się nią jeszcze bardziej. Okazało się, że pierwsza azjatycka triumfatorka Szlema strasząca na korcie groźnymi minami jest poza nim sympatyczną, uśmiechniętą i życzliwą osobą. Na konferencjach prasowych brylowała świetnymi ripostami i poczuciem humoru ("Moje rodzinne miasto jest malutkie, ma tylko 7 mln mieszkańców"), a żarty z jej męża Jiang Shana stały się w środowisku tenisowym kultowe ("Źle mi się grało, nie wyspałam się, mąż strasznie chrapał" albo "On jest jak Bank of China, jeśli chodzi o śledzenie wydatków z karty kredytowej"). 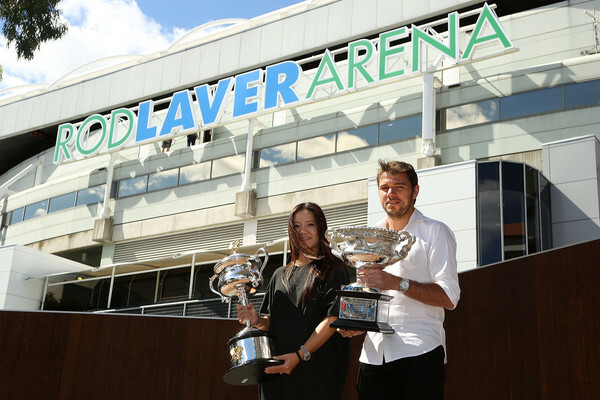 Gdy po drugim wielkoszlemowym zwycięstwie w Australian Open w styczniu tego roku Li dziękowała swojemu agentowi Maxowi Eisenbudowi, który zarabia dla niej rocznie ok. 18 mln dol. na kontraktach sponsorskich, powiedziała: - Max, dzięki, że jestem bogata! Li dorobiła się na tenisie, a tenis zarabiał dzięki niej. Eksperci szacują, że chiński rynek wart jest 4 mld dol. To nie przypadek, że dyscyplina coraz gwałtowniej skręca do Azji. 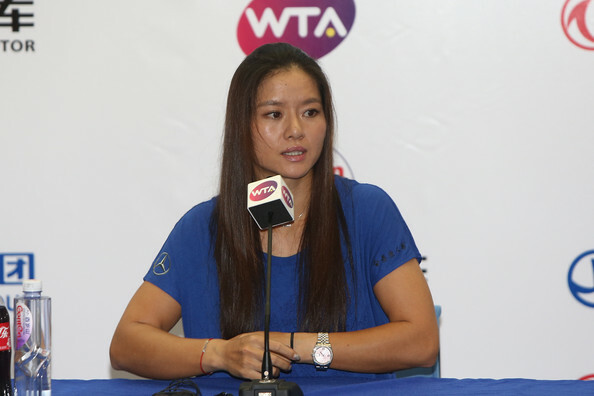 Jeszcze w 2007 r. w Chinach był tylko jeden turniej WTA, teraz - aż osiem, a kończący sezon Masters odbędzie się w Singapurze. Kiedyś centrum tenisowego świata było w Ameryce, potem w Europie, dziś przeprowadza się do Azji. - Chiny to największy skarbiec świata, każdy chce tam być, tenis też, a Li otworzyła zamknięte drzwi - mówił niedawno Tony Godsick, menedżer Rogera Federera. Koniec kariery 32-letniej Li wymusiły kontuzje. W zeszłym tygodniu ogłosiła decyzję na konferencji prasowej, sugerując, że zajmie się teraz biznesem, ale będzie też dbała o to, by tenis w Chinach wciąż się rozwijał. Na Twitterze i Facebooku Li żegnały setki koleżanek i kolegów z kortów, m.in. Agnieszka Radwańska i Jerzy Janowicz. Chińskiej buntowniczki po prostu nie dało się nie lubić. Na Li w emocjonalny sposób pożegnała się zawodowym tenisem. Pierwsza reprezentantka Chin, która wygrała turniej Wielkiego Szlema, popłakała się podczas ceremonii zorganizowanej w Pekinie. Chiny są teraz stolicą tenisa. Obecnie odbywają się tam dwa duże turnieje - kobiecy i męski. Dlatego nie było lepszego momentu, żeby Na Li mogła pożegnać się z publicznością i innymi tenisistami, z którymi spotykała się w takcie swojej kariery. 32-letnia Chinka jest pierwszą reprezentantką tego kraju, która wygrała turniej Wielkiego Szlema. Stało się w 2011 roku na kortach Rolanda Garrosa. 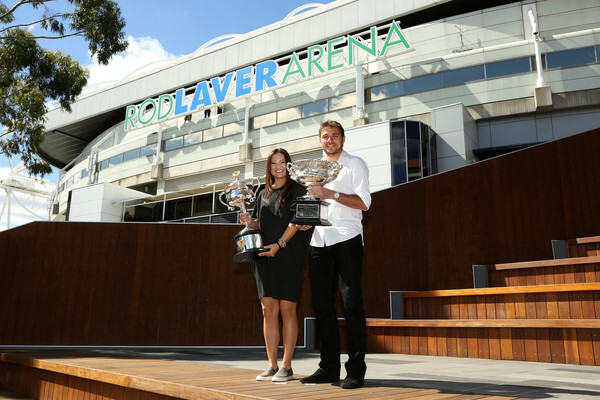 W styczniu tego roku zawodniczka dołożyła do tego sukces w Australian Open. Jednakże problemy zdrowotne spowodowały, że zdecydowała się zakończyć karierę. Na Li 30 września w Pekinie żegnali nie tylko kibice, ale też inne tenisistki i tenisiści, którzy występują w turniejach w stolicy Chin. Kwiaty podarował jej Hiszpan Rafael Nadal. Główna bohaterka była bardzo wzruszona podczas uroczystości, czego nie była w stanie ukryć i się popłakała. "Jestem bardzo szczęśliwa, że mogłam zawodowo grać w tenisa, co pozwoliło mi was poznać i być waszą przyjaciółką" - mówiła Na Li. 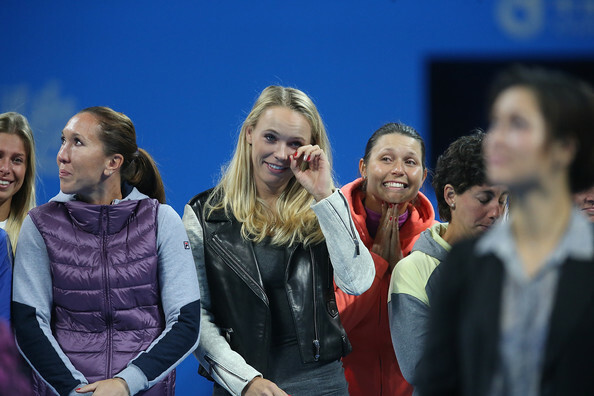 "Bardzo trudno jest się żegnać, ale obiecuję, że będę wokół rozgrywek WTA. Nie będę już sportowcem, ale będę przyjeżdżać, by się z wami zobaczyć" - dodała.